A crown (or cap) is a covering that covers the entire tooth surface restoring it to its original shape and size. A crown protects and strengthens a tooth that is broken/fractured, has severe decay, has a large fractured filling, or had Root Canal Therapy. Crowns also change esthetics that cannot be restored with a filling or other types of restorations. Although there are several types of crowns, porcelain (tooth colored crowns) are the most popular, because they resemble your natural teeth. Porcelain crowns are made to match your current teeth or change your teeth’s appearance depending on your needs. They are very durable and will last many years, giving you a natural, long-lasting beautiful smile. 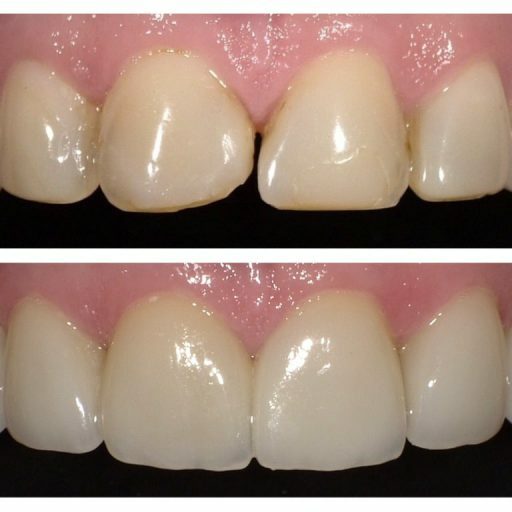 Veneers are very thin pieces of durable, strong porcelain that are custom made by a professional dental laboratory. They are bonded onto the front of teeth to create a beautiful and attractive smile. Veneers can completely reshape your teeth, change the color of your teeth and give you your most perfect smile. They can often be alternatives to crowns and the ideal solution in treating many dental conditions. 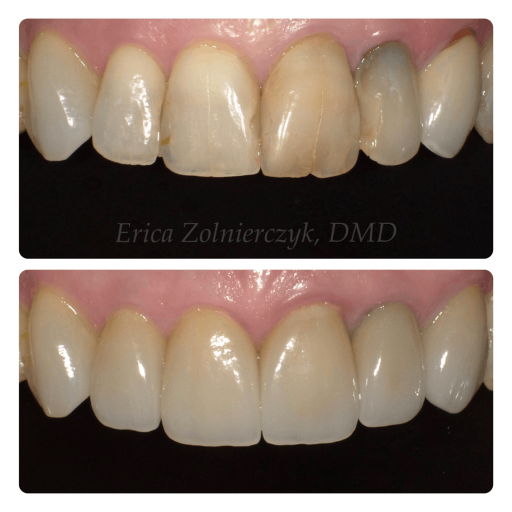 As with most dental restorations, veneers are not permanent and may someday need replacement. They are very durable and will last many years, giving you a beautiful long lasting smile.